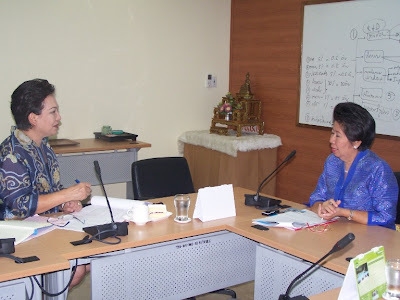 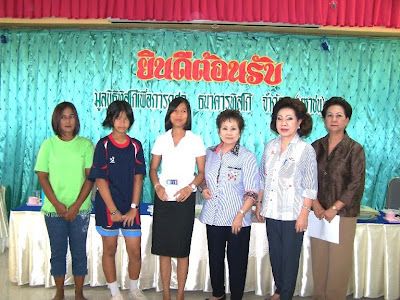 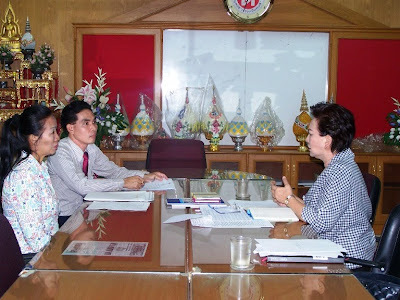 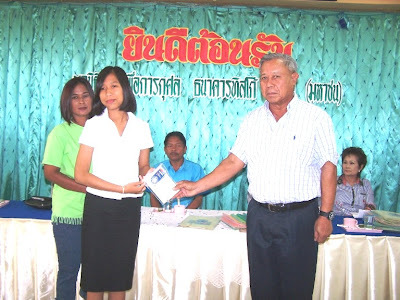 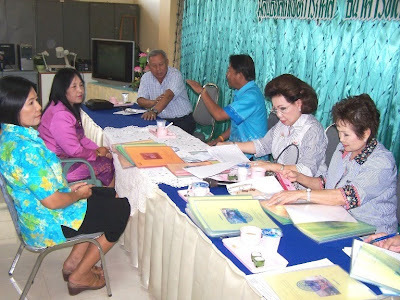 General Somchai Uboldejpracharak, Chairman of Advisor Group of TISCO Foundation, presented a Hearing Aid to Miss Atchaya Aimaop, who is moderately severe sensorineural hearing loss, at Wat Sangthamsutharam School, Nakornsawan, on September 4, 2009. 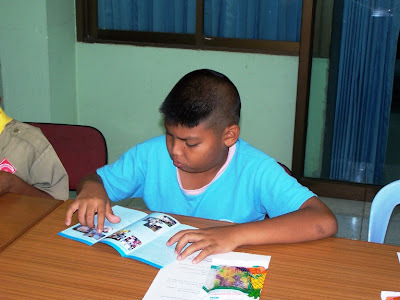 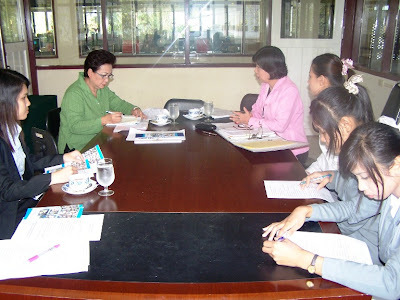 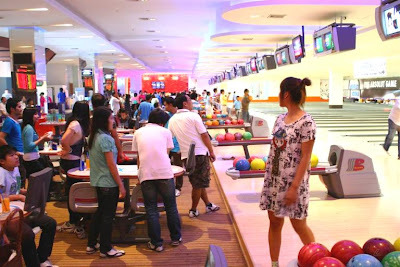 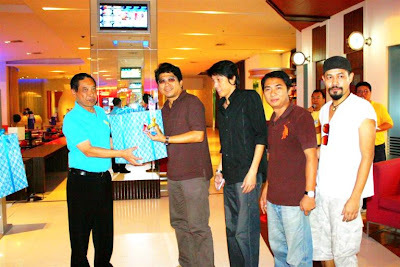 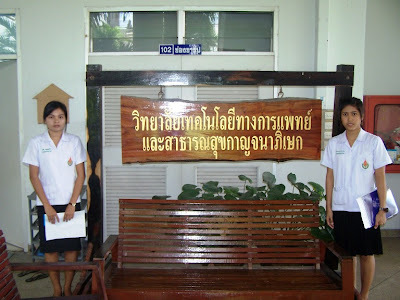 พลเอกสมชาย อุบลเดชประชารักษ์ ประธานคณะที่ปรึกษา มูลนิธิทิสโก้ฯ มอบเครื่องช่วยฟัง ให้แก่ น.ส.อัชญา เอี่ยมอบ ผู้ป่วยโรคประสาทหูเสื่อม ที่โรงเรียนเทศบาล 3 (วัดแสงธรรมสุทธาราม ) จ.นครสวรรค์ เมื่อวันที่ 4 กันยายน 2552. 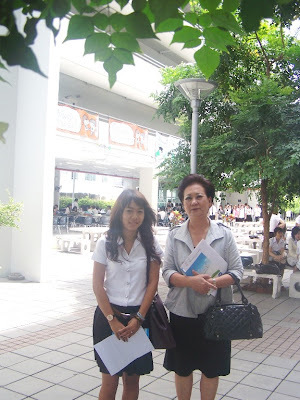 We went to visit Miss Laddawan Pocharoen’ s house, she is a student of Watsaitai Municipality School, She and her aunt live in a very small house together with 30 relatives. 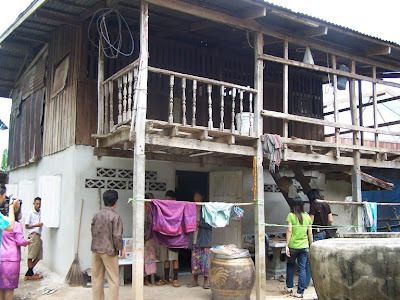 So at night time she and her aunt have to sleep at the Health Station as the house is too crowded. 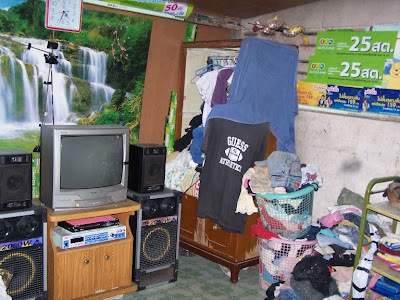 When she wakes up in the morning, she will come back to her house to get dress before goes to school. 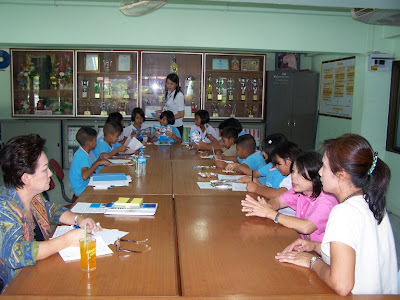 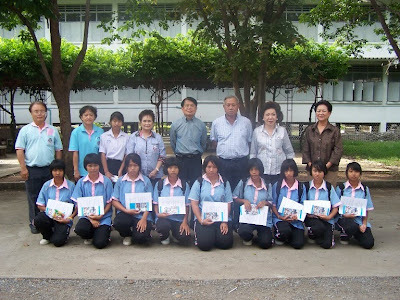 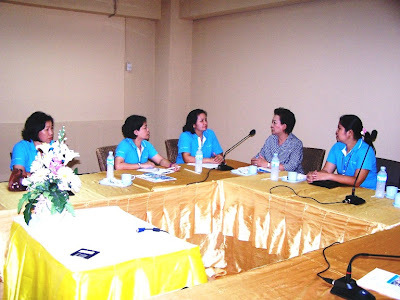 On September 4, 2009, Chairman of Advisor Group, Directors and staffs of TISCO Foundation took a trip to Nakornsawan visited our scholarship students at Wat Sangthamsutharam School, Wat Saitai Municipality School, and Suankularb Wittayalai (Jiraprawat) School and follow-up on progress of education fund granted to them this year. 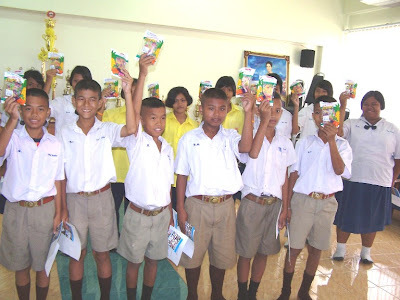 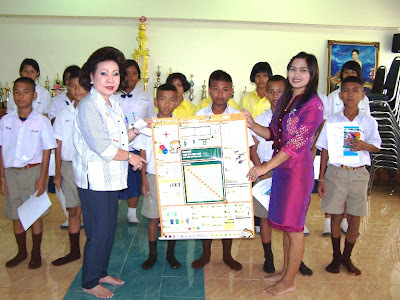 We presented daily knowledge posters to schools and gave candies to students.